DWI in Edison? We can help. We are Edison NJ DWI and DUI defense attorneys. If you are facing DWI or DUI charges in Edison it is imperative that you retain an attorney who handles only these types of cases. Our firm limits its practice to only DWI and criminal cases. 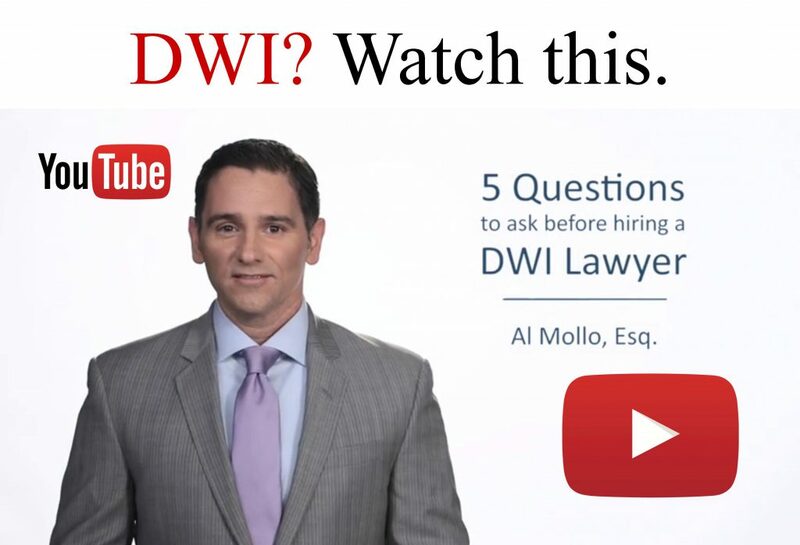 Attorney Al Mollo has handled many DWI and DUI cases in the Edison Municipal Court. He has specialized training regarding the Alcotest, the breath testing instrument used in Edison. He is also certified in DWI DRE drug impairment recognition and also forensic toxicology. Mr. Mollo is one of very few attorneys in the State of New Jersey to be certified in field sobriety testing. This means that he has training similar to police officers. If you are charged with DWI or DUI in Edison, New Jersey, it is imperative that you retain an experienced Edison DWI defense attorney. Edison DWI and DUI cases are among the most serious a driver can face. Defendants in Edison are exposed to mandatory driver’s license suspension. They also face fines, penalties and, in limited cases, requirement to install an interlock device on their car. This is a portable breath testing machine that must be engaged to start the vehicle. Individuals convicted of Edison DWI can be sentenced to county jail for a first or second DWI offense, and face mandatory jail for a third or subsequent DWI offense. Learn more about the Edison DWI penalties by clicking here. If you are facing DWI or DUI charges in Edison, contact our office today to discuss your case. Consultations are always free and they are always always confidential. Call our office at 732-747-1844. Or you can e-mail Al Mollo directly at amollo@mollolawfirm.com. You can also text Al at 732-567-2441. Thank you.